Yes, you can buy picture frames at just about any home decor or department store. But if you're hoping for a high-style, large-scale display, you'll have to pay big bucks, too. In this week's eNote, we'll show you how to build your own sleek, minimalistic frames out of hardboard and acrylic from the home center. 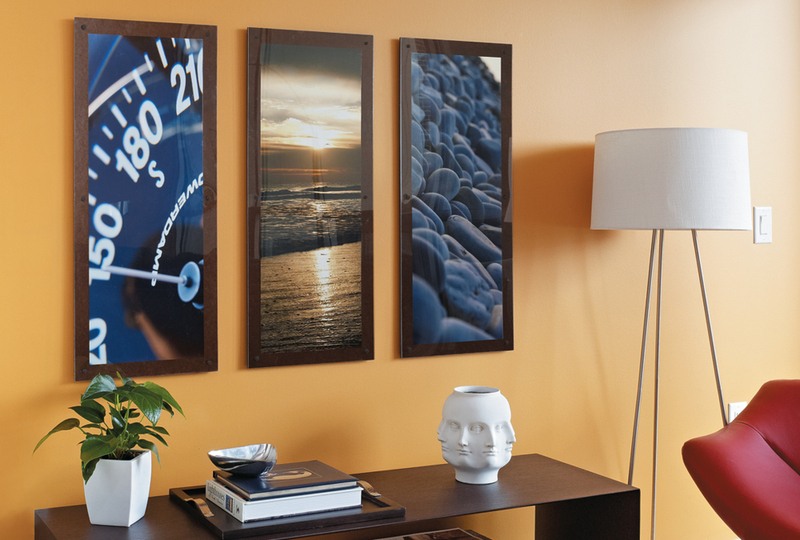 An oversized set of three, as shown here, has beautiful balance, but you could customize this project to suit photos or walls of different shapes and sizes, too. Wondering what you'll frame? We provide plenty of tips for choosing and cropping photos, and online sources like Vivyx Printing make it affordable to have them printed poster-sized.